Properties in Antalya average 4.8 out of 5 stars. Property 4: Luxury private villa, sea views, pool, short walk to restaurants and shops. Property 10: Luxury sea front Villa with sea views and heated pool! Property 20: Private villa in superb location, fantastic views and private secluded pool. 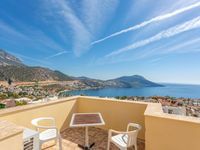 Property 27: Villa with Stunning Sea & Mountain Views. Private Pool. Property 30: Very private luxury sea front Villa with prestigious location new to the market! Property 33: Villa In Komerluck With Beautiful Sea Views, Secluded Terraces 50 mtrs to Sea. Property 43: Villa Derin With Private Pool And Splendid Sea Views. Property 49: Luxury Penthouse with rooftop pool, stunning sea views, 5 min stroll to town.